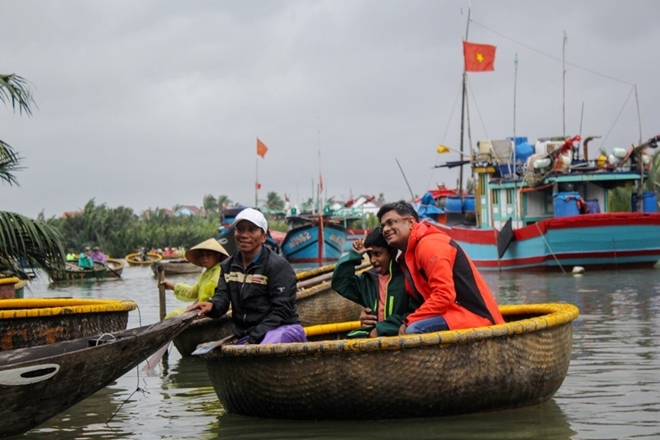 PSNews – In addition to various well-known places, Hoi An has more to offer to tourists, including a visit to Van Thanh village, Cam Lang commune, where visitors can experience a tour on basket boats exploring the Bay Mau mangrove palm forest. Hoi An’s mangrove palm forest interests foreign tourists. According to local people, mangrove palm has grown naturally for years and turned an area of seven acres into a forest called Bay Mau. During wartime, the forest served as a revolutionary base and witnessed various important battles and victories of the local people and armed forces. The forest also covered and sheltered local people from raids of foreign invaders during wartime. 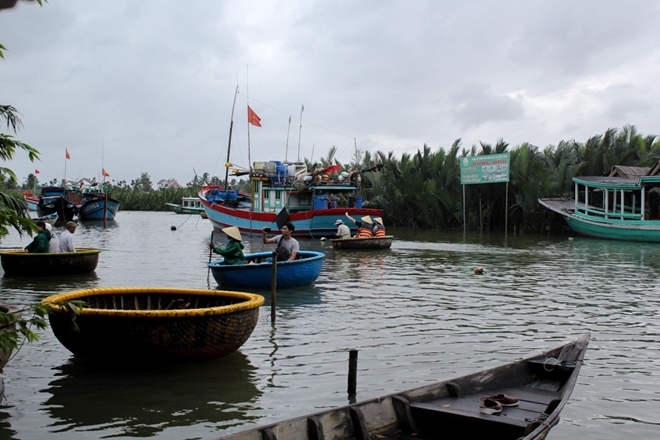 The Bay Mau forest is in between the De Vong, Thu Bon and Hoai rivers and nearby the Dai Estuary. 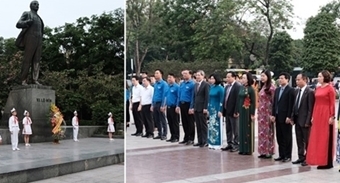 Although this area has recently been exploited by the tourism sector, the forest has attracted a large number of Vietnamese and foreign tourists. Local rowers often perform their excellent skills in rowing and steering their boats to make the voyage more interesting. Despite the unfavorable weather conditions, first days of the new year saw more visitors than normal days. 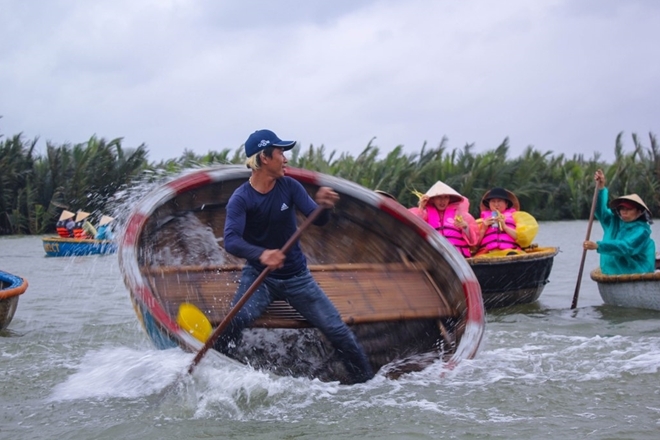 A unique feature of the tour to this area is the ride on “basket boats”, which has interested many foreign tourists. In addition to ensuring absolute safety for tourists, local rowers often perform their excellent skills in rowing and steering their boats to make the voyage more interesting. They also sing folk songs or perform some tricks to entertain the tourists aboard. Rowers also make various souvenirs from the palm’s leaves and offer them free to the tourists. A rower said the free gifts represent the hospitality of local people to tourists. He added that he serve 4 or 5 groups of tourists a day and earn enough for his family. The forest tour offers different experiences in each month of the year. 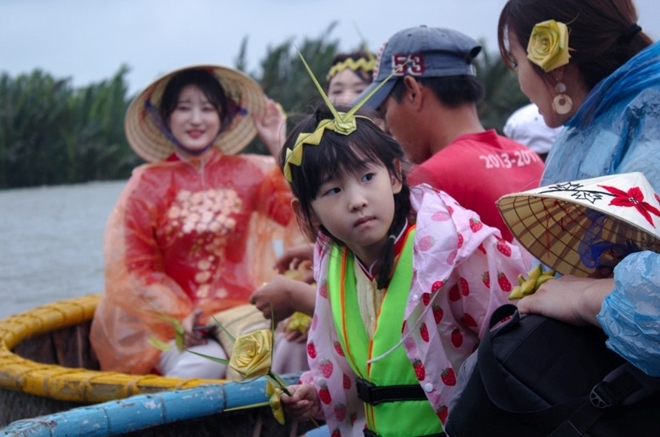 For example, tourists can enjoy special rice cooked with coconut milk, go net-fishing themselves or catch varunidae with local people if they visit in August of the Lunar Calendar.